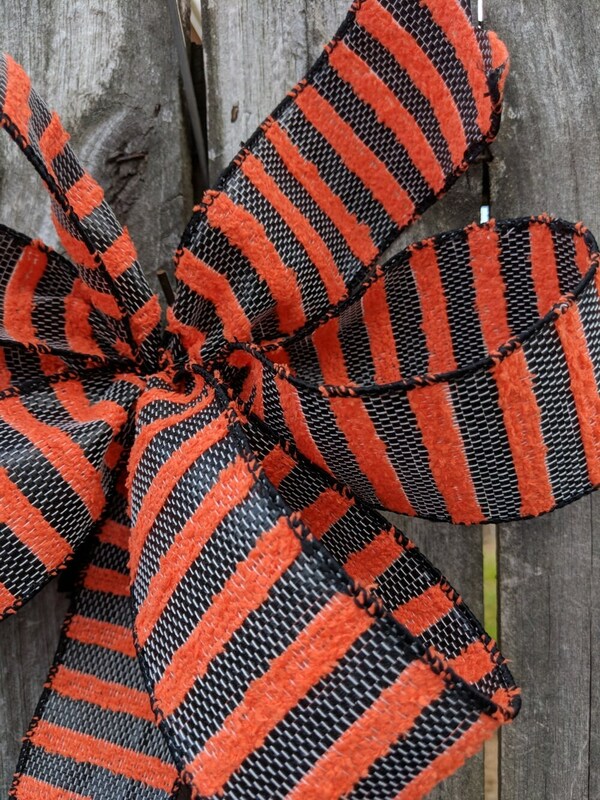 This beautiful bow is made with 2.5" wired ribbon with a stripe detail. 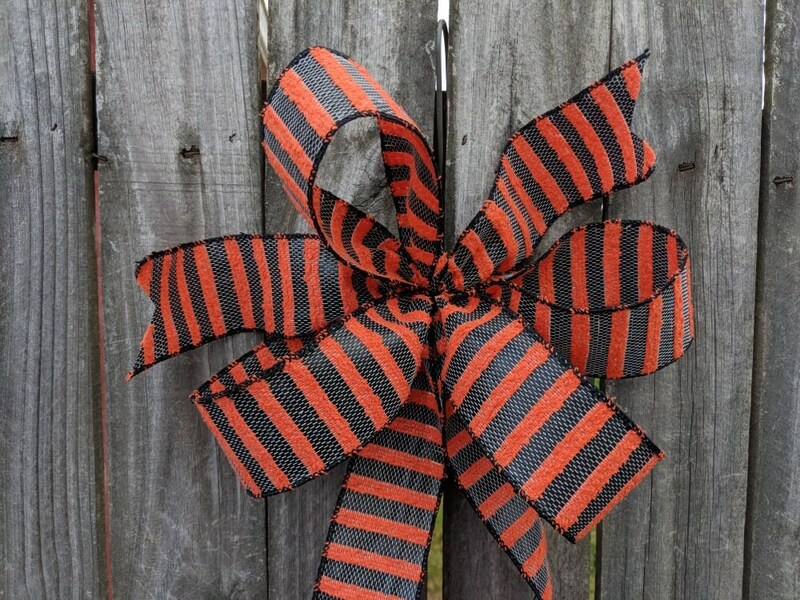 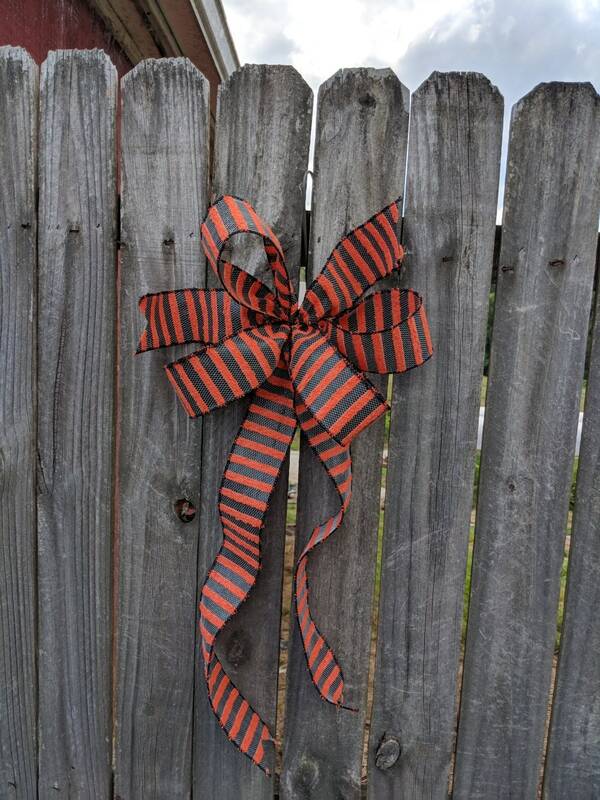 The materials used to make the ribbon are really unique, with the orange stripe being fuzzy and the black stripe being almost a woven plastic look. 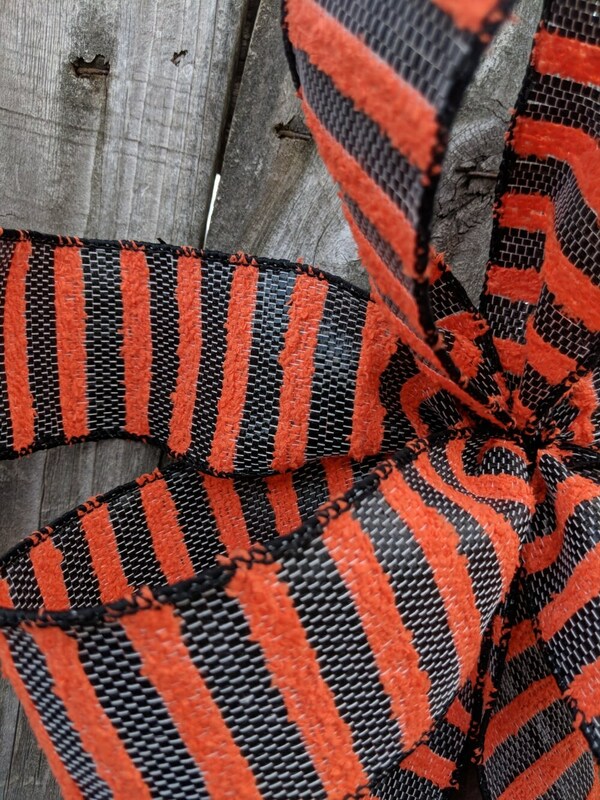 The textures are very cool! 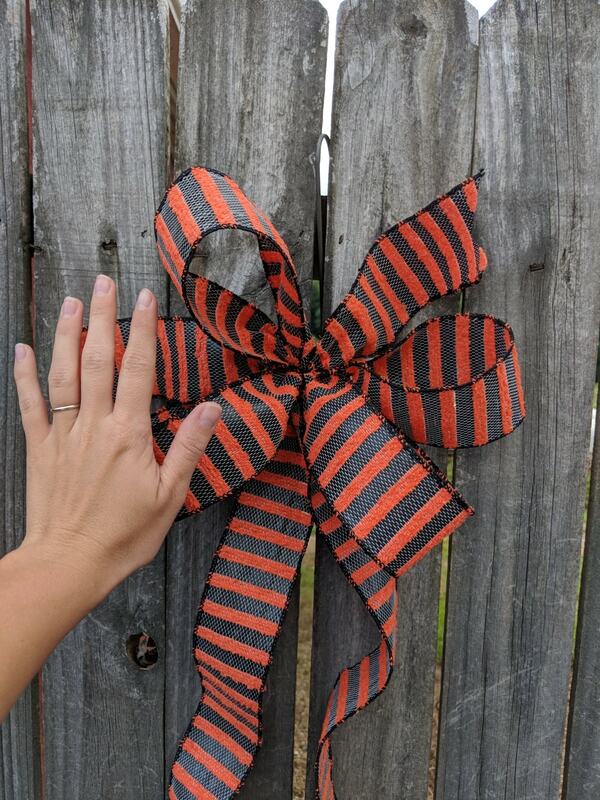 It is the perfect embellishment for a standard size door wreath (18 - 24" finished). 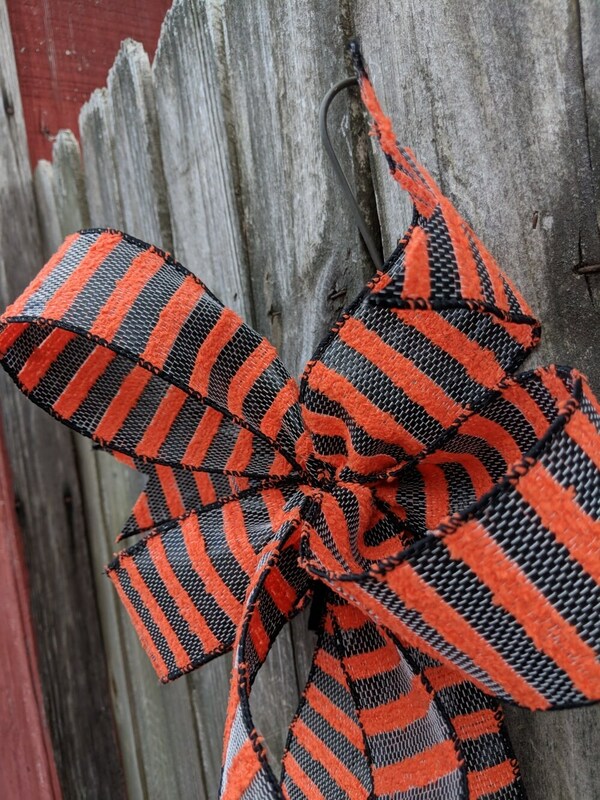 The bow is made up of four loops, two short streamers, and two long streamers. 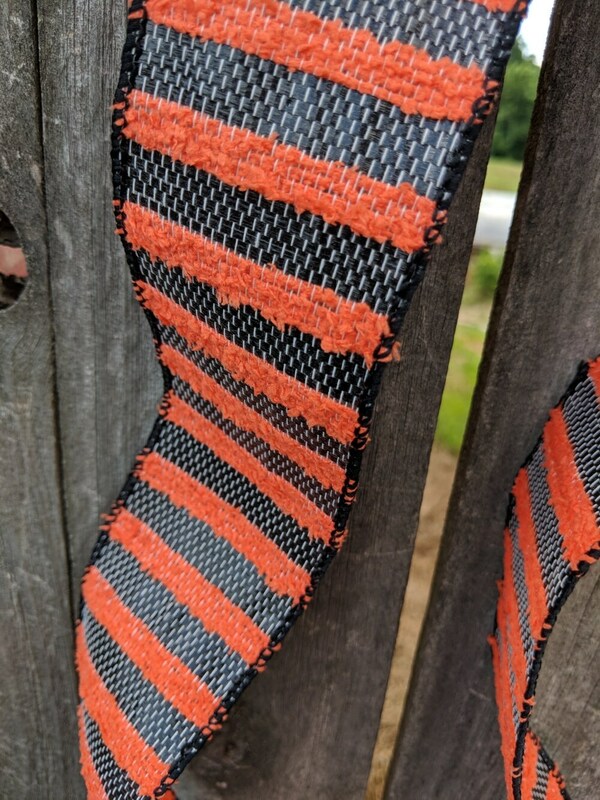 The wire on the edges allows for easy re-fluffing!